The folks at the New York Public Library have a workflow and python script for translating historical maps into Minecraft. It’s a three-step (quite big steps) process. 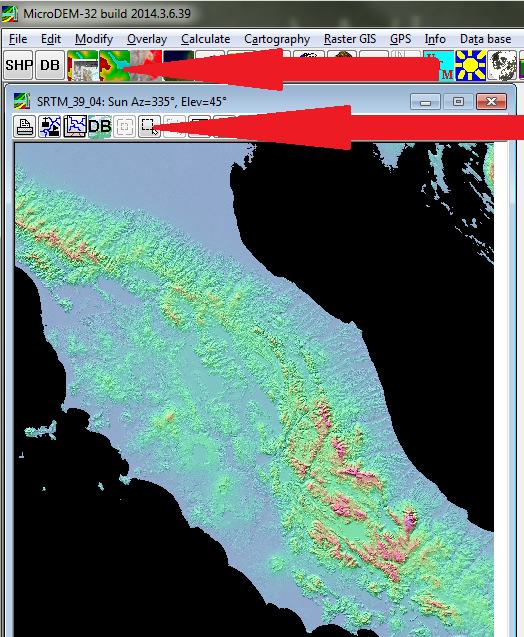 First, they generate a DEM (digital elevation model) from the historical map, using QGIS. This is saved as ‘elevation.tiff’. Then, using Inkscape, they trace over the features from the historical map that they want to translate into Minecraft. Different colours equal different kinds of blocks. This is saved as ‘features.tiff’. Then, using a custom python script, the two layers are combined to create a minecraft map, which can either be in ‘creative’ mode or ‘survival’ mode. There are a number of unspoken steps in that workflow, including a number of dependencies for the python script that have to be installed first. Similarly, QGIS and its plugins also have a steep (sometimes hidden) learning curve. As does Inkscape. And Imagemagick. This isn’t a criticism; it’s just the way this kind of thing works. The problem, from my perspective, is that if I want to use this in the classroom, I have to guide 40 students with widely varying degrees of digital fluency. * I’ve found in the past that many of my students “didn’t study history to have to work with computers” and that the payoff sometimes (to them) doesn’t seem to have (immediate) value. The pros and cons of that kind of work shall be the post for another day. Right now, my immediate problem is, how can I smooth the gradient of the learning curve? I will do this by providing 3 separate paths for creating the digital elevation model. Path 1, for when real world geography is not the most important aspect. We used a geo-rectified TIFF exported from this map but any high rez scan of a map with elevation data and features will suffice. The hidden, tacit bits here involve installing the Countour plugin, and working with GRASS tools (especially the bit about ‘editing the current grass region’, which always is fiddly, I find). Students pursuing this path will need a lot of one-on-one. 1) In the menu, go to Layer > Add Vector Layer. Find the point shapefile that has the elevation information. Ensure that you select point in the file type. 2) In the menu, go to Raster > Interpolation. Select “Field 3” (this corresponds to the z or elevation field) for Interpolation attribute and click on “Add”. Feel free to keep the rest as default and save the output file as an Image (.asc, bmp, jpg or any other raster – probably best to use .asc since that’s what MicroDEM likes. We’ll talk about MicroDEM in a moment. I haven’t tested this path yet, myself. But it should work. In this situation, modern topography is just what you need. 2. Install MicroDEM and all of its bits and pieces (the installer wants a whole bunch of other supporting bits; just say yes. MicroDEM is PC software, but I’ve run it on a Mac within WineBottler). MicroDEM: open image, crop image. Save your grayscaled image as a .tiff. Regardless of the path you took (and think about the historical implications of those paths) you now have a gray scale DEM image that you can use to generate your mindcraft world. At this point, the easiest thing to do is to use WorldPainter. It’s free, but you can donate to its developers to help them maintain and update it. 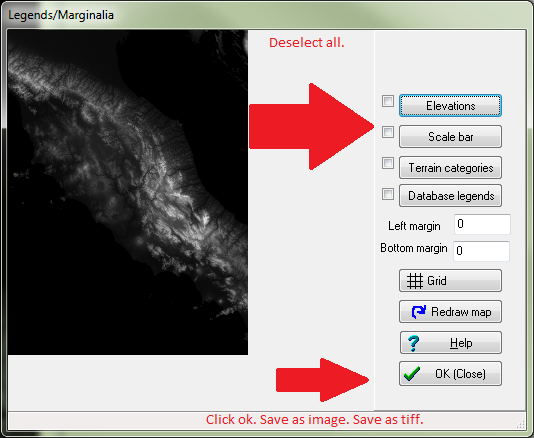 Now, the video shown above shows how to load your DEM image into WorldPainter. It parses the black-to-white pixel values and turns them into elevations. You have the option of setting where ‘sea level’ is on your map (so elevations below that point are covered with water). There are many, many options here; play with it! Adam Clarke, who made the video, suggests scaling up your image to 900%, but I’ve found that that makes absolutely monstrous worlds. You’ll have to play around to see what makes most sense for you, but with real-world data of any area larger than a few kilometres on a side, I think 100 to 200% is fine. Now, the crucial bit for us: you can import an image into WorldPainter to use as an overlay to guide the placement of blocks, terrain, buildings, whatever. So, rather than me simply regurgitating what Adam narrates, go watch the video. Save as a .world file for editing; export to Minecraft when you’re ready (be warned: big maps can take *a very long time* to render. That’s another reason why I don’t scale up the way Adam suggests). To get you started: here are a number of DEMs and WorldPainter world files that I’ve been playing with. Try ’em out for yourself. * another problem I’ve encountered is that my features colours don’t map onto the index values for blocks in the script. I’ve tried modifying the script to allow for a bit of fuzziness (a kind of, ‘if the pixel value is between x and y, treat as z’). I end up with worlds filled with water. If I run the script on the Fort Washington maps provided by NYPL, it works perfectly. The script is supposed to only be looking at the R of the RGB values when it assigns blocks, but I wonder if there isn’t something else going on. I had it work once, correctly, for me – but I used MS Paint to recolour my image with the exact colours from the Fort Washington map. Tried it again, exact same workflow on a different map, nada. Nyet. Zip. Zilch. Just a whole of tears and heartache. I’ve been following Shawn’s work on this for the last couple of weeks on Twitter so I’m very excited he’s posted his workflow. Will have to try it out down the line.